Costco’s direct marketing efforts are used to promote products and services as well as increase memberships through promotional offers. These pieces include postcards, booklets and self mailers which are targeted at a specific demographic or geographic location. Often these pieces are designed in conjunction with other pieces as part of a larger campaign which share the same design. 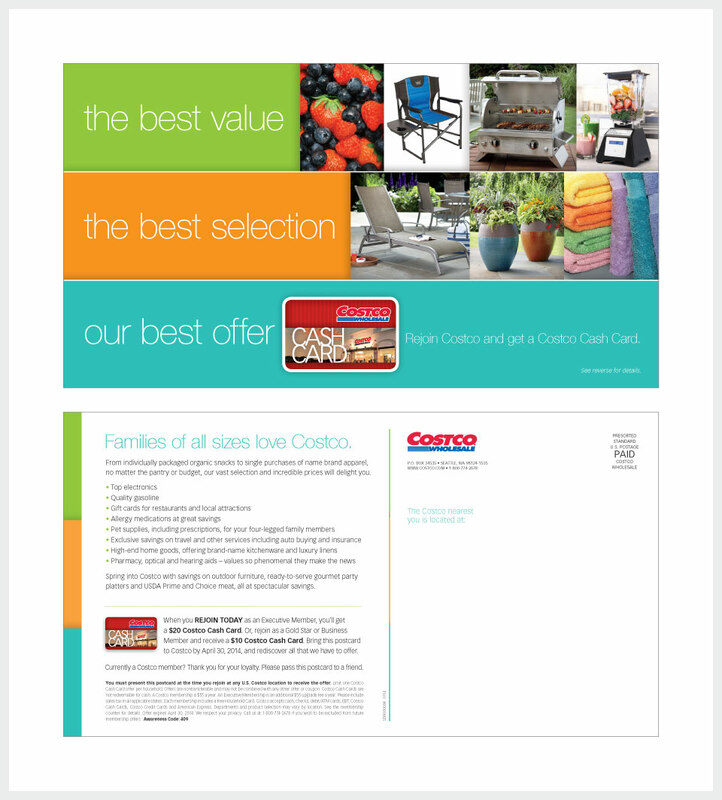 The following pieces show examples of direct marketing pieces that were designed for Costco. 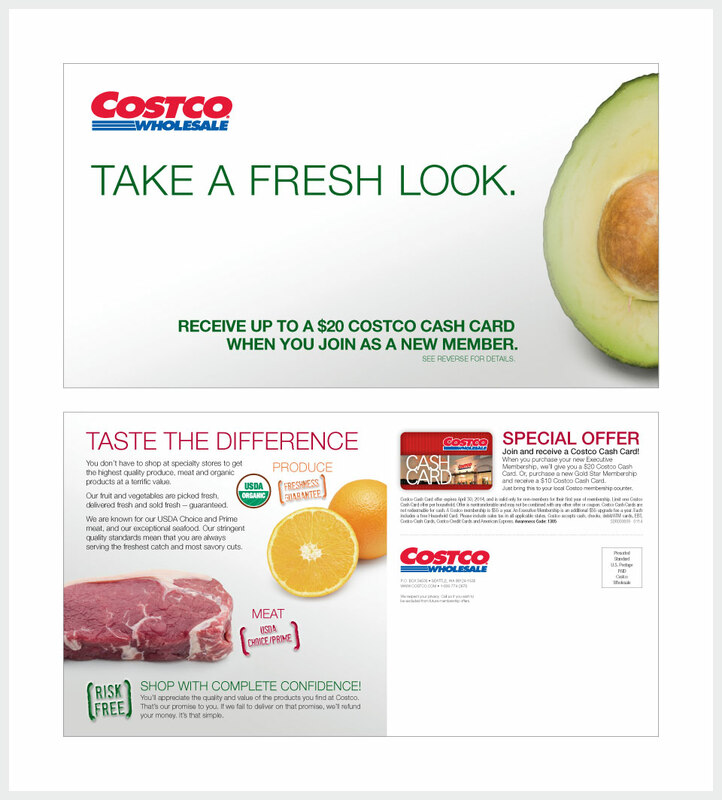 The design of this postcard uses white space and images of fresh produce and meat to emphasize the high quality of Costco’s fresh foods. The design of this postcard uses a clean, simple layout and a cheerful color palette which echoes the colors found in the product images. 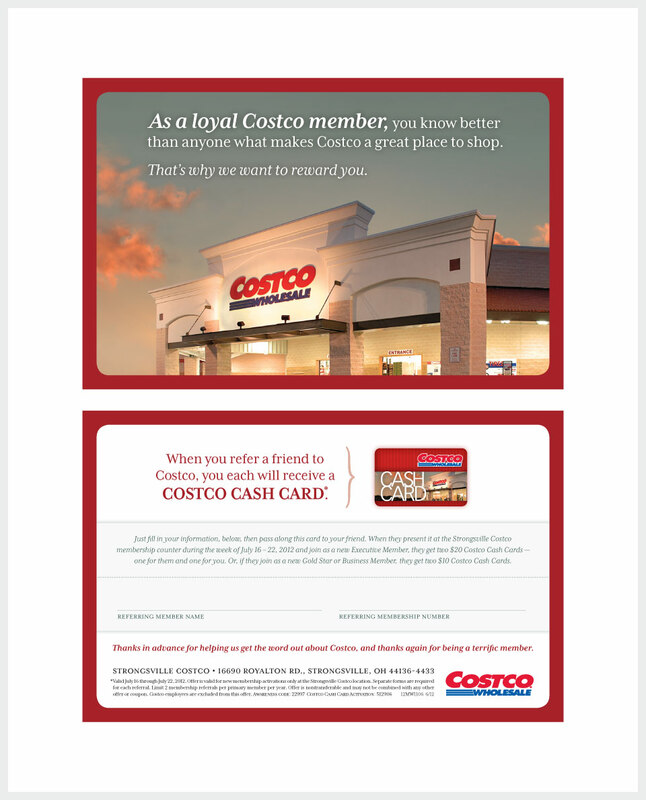 This direct mail piece was designed to reflects Costco’s appreciation for the member’s loyalty and to give them an opportunity to receive a cash card for referring a friend.